New Pricing Pinnacle on a wonderful water lot! Definition of Retirement? - Having more fun than your grandchildren. That's what you'll say when you see this brand new, never been lived in 3 month old home. Sip your morning coffee, or your afternoon cocktail on the extended lanai with an incredible view, on an oversized lot. Nothing has been left to chance. This is truly move in ready with all high end contemporary finishes that have been chosen with every detail in mind. Plantation shutters throughout, closets completely done, high end light fixtures and fans, contemporary mirrors, crown molding, and more. There is a wireless Security System that includes a remote App for your cell phone. The gas water heater is Tankless which is another special feature and they have already paid and activated a pest control system. Finally the cable system is cable ready with HDMI wiring installed.Bring your clothes and furniture, and you're ready to go. This home is a MUST see. Experience the Del Webb lifestyle in the brand new amenity center with everything you need to keep you fit and happy. There is a full time activities director, a full calendar, HOA on site, and a magnificent pool area with a restaurant perfectly situated by the pool, and viewing docks to the lake. "Happy hours" and new specials make it special as well. 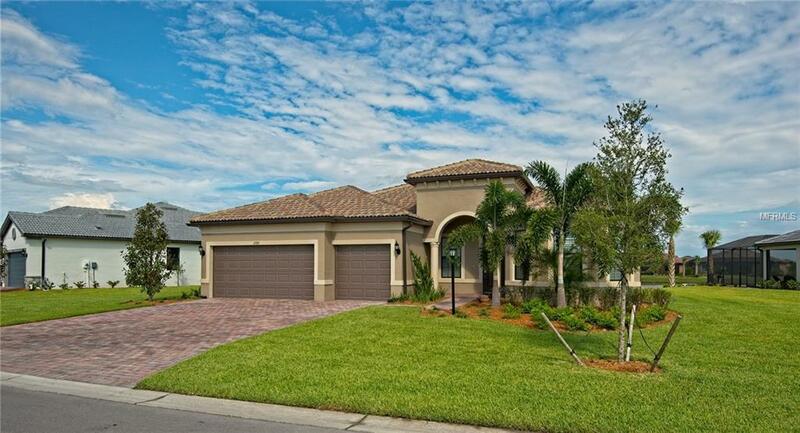 Close to everything, and Away from it all, Del Webb Lakewood Ranch is the perfect place to call home.